Drop-in taster print workshop and sale of prints. Now in its 20th year, East London Printmakers is an organisation providing space with a world-wide reputation for screen-printing, relief and intaglio printing in the heart of East London. This year it has tightened its structure and strengthened its legal position by incorporating as a not–for–profit Community Interest Company. It is comprised of 47 keyholder members and over 250 associates, representing a broad spectrum of talent from many different countries. The studio attracts over one thousand visitors annually. 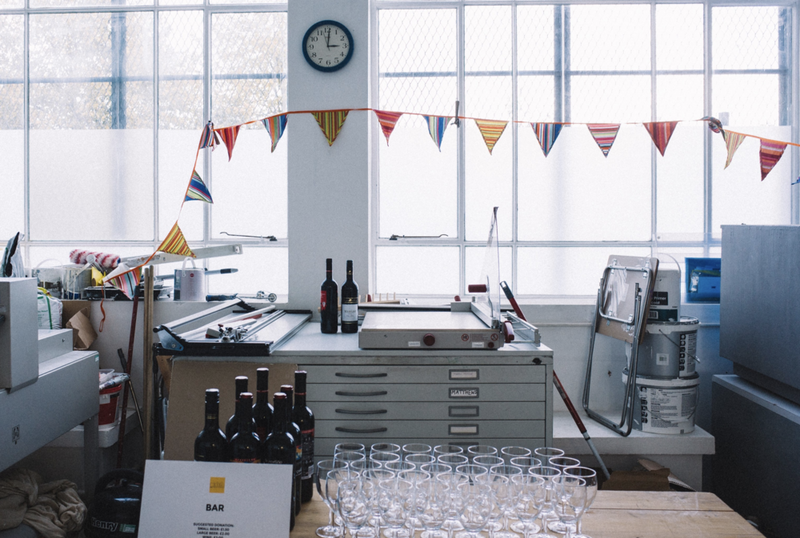 East London Printmakers offers opportunities for public access during its open studio days and to its excellent printing facilities through a variety of courses, and supported open access sessions. It offers a series of artist talks and master workshops, and seeks to support recent graduates and those needing time and space to realise projects through its residency schemes. Receiving no grant funding, ELP has survived economic recession and escalating rents through its own talents and efforts. Constantly improving and extending its facilities and access, it remains a high–quality, community–focussed art space, creating an international hub for printmaking in EastLondon. All great reasons, if any are needed, for celebration! Welcome to ELP@20 Festival of Print - enjoy!